Create with Mum, a unique mother-and-child event designed by Focus on the Family Singapore to help mothers connect meaningfully with their tweens aged 11 to 14 years old, marked its first public run on 12 August 2018. We ushered in over 100 mums and children at this milestone event. Participants say it was an unforgettable afternoon for them. Adolescence is known to be a stressful period marked by increased tension in the parent-child relationship as children desire greater independence. This makes one-on-one bonding time even more beneficial and necessary. 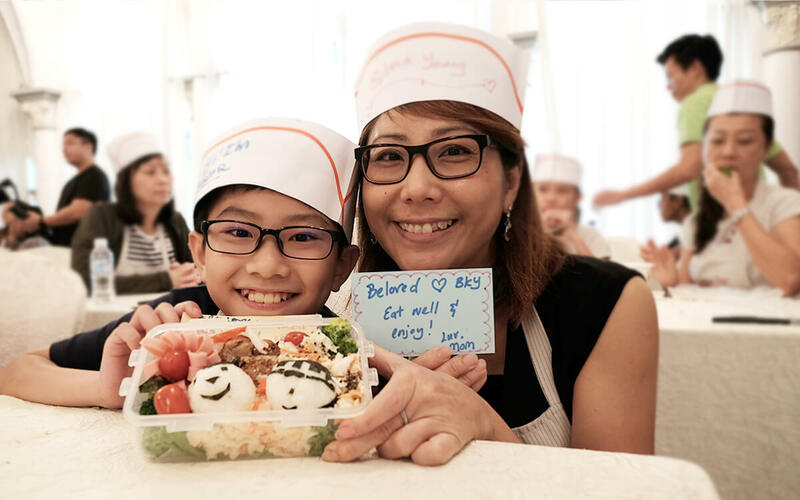 Through engaging mothers and their teens in fun activities such as bento-making and heart-to-heart conversations, Focus Singapore hopes that the event will enable mothers and their children to share their innermost feelings and love with each other. Create with Mum is happening on 20 April 2019. Don’t miss out, and sign up today at www.family.org.sg/CreatewithMum!